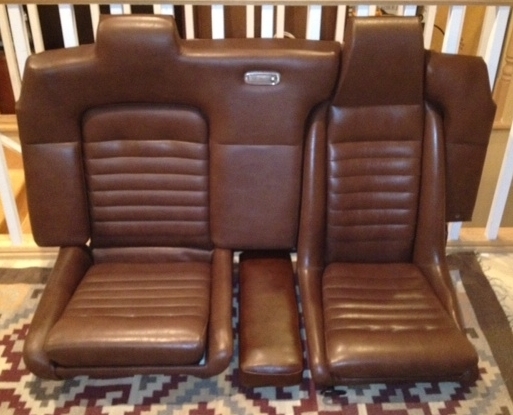 Chestnut Brown Interior Upholstery From a ‘71 in Great condition. One year only elephant hide vinyl. 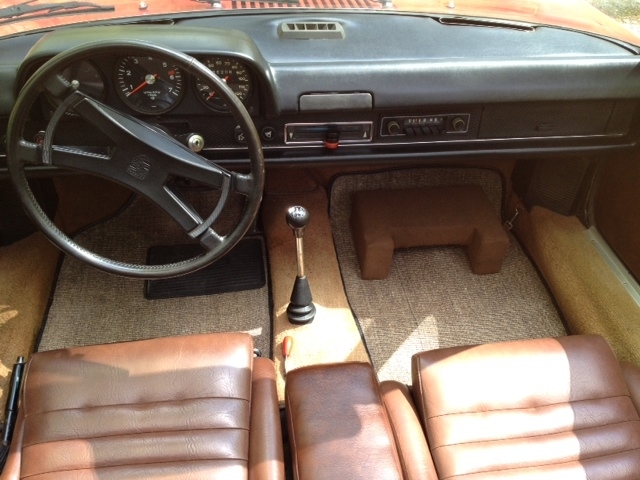 The driver and passenger armrests are black on top with brown viny pockets (stock). All vinyl is soft and tear free. The center cushion is the correct color but is from a later car so vinyl is a little different. Brown dog bone with hardware. Never was moldy, dirty or smelly. I’ll have more pics shortly. The carpet is stained and cut in places but I will include it for the cost of shipping if you want it to match color. The matching coco mats are $50. 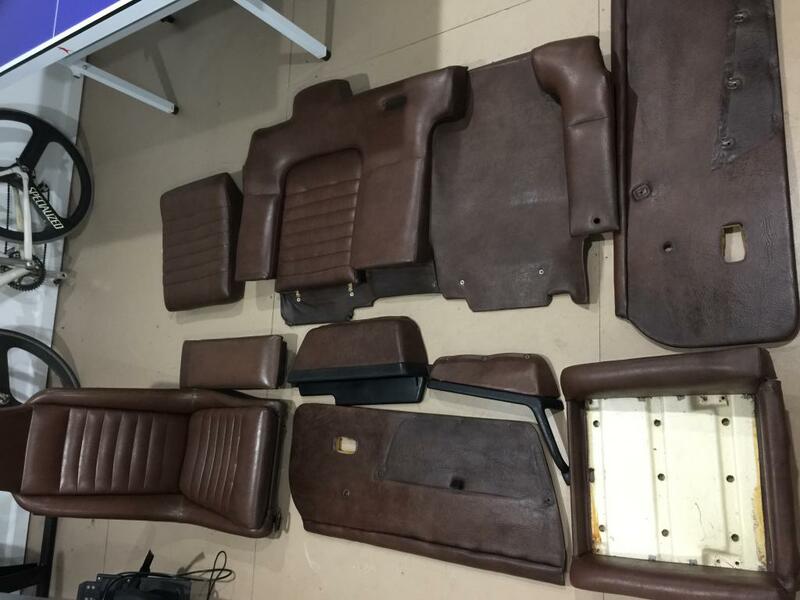 This is for someone with an early car who wants an origional interior. Reproduction kits are nice but never duplicate the factory origional upholstery. 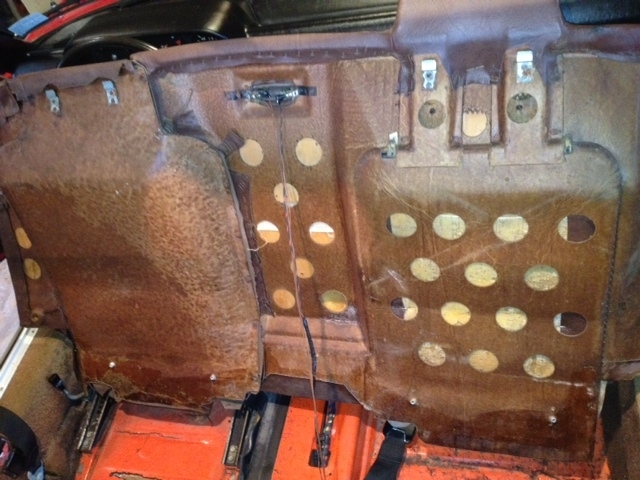 It’s from a 38k mile car that has spent most of its life inside.